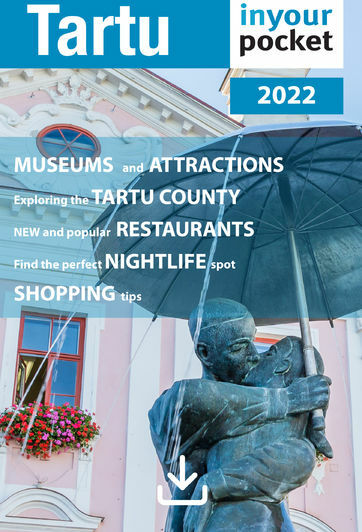 Considering how absolutely ancient Tartu is and the sheer number of luminaries that have passed through the halls of its prestigious university, it's no shocker that the city comes packed with all sorts of monuments and sculptures. The Kissing Students fountain on Town Hall Square and the Vilde bench make appearances on nearly every tourist brochure, and of course Toome Hill is crawling with noted professors in bronze. In this article though, we're focusing on some of Tartu's lesser known and less conventional tributes to the past. 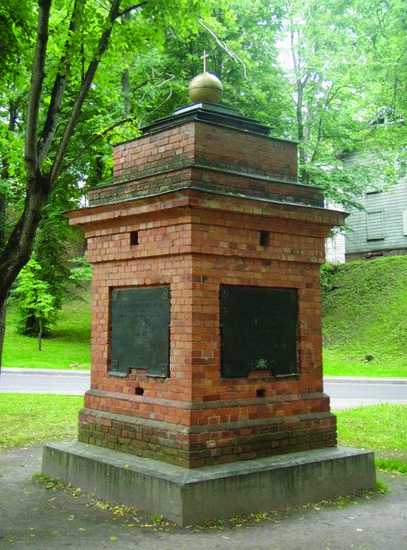 Our list starts with Tartu's oldest monument by far. Installed in 1811, the Monument of Nations is a squarish, brick structure in a park near the corners of K.E. Von Baeri and Vallikraavi streets marking the reburial place of some human bones – presumably belonging to people of many nationalities. These unlucky souls were dug up during construction of the Tartu University Main Building on a spot that had been a medieval-era church cemetery. J.W. Krause, designer of that building, also designed this four sided monument. The inscriptions tell the story of the bones in Latin, German, Russian and Estonian. This monument scores extra hipster points because the 'Estonian' text is in fact written in the now-obscure Tartu dialect of Southern Estonian, a dialect spoken by about 4,000 people today. In the 'What the heck is it?' category, we have a bunch of tangled pipes spewing water in front of the Tartu University Library (Struve 1). 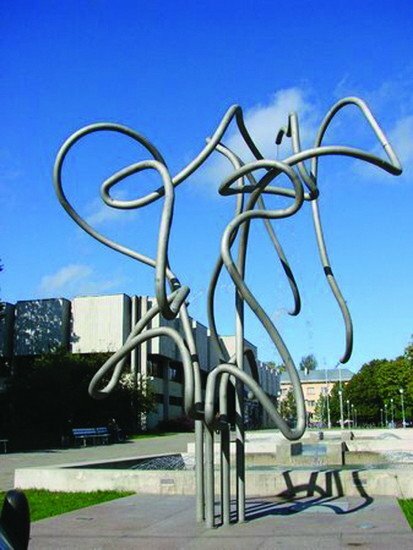 Created by Mati Karmin of Kissing Students fame and architect Andres Lunge in 2007, this structure memorialises longserving professor Juri Lotman (1922 – 1993), a world-famous figure in the field of semiotics. The sculpture was based on one of Lotman's tongue-in-cheek self portraits and is probably just about as comprehensible to most people as the concept of semiotics itself. A remarkably stretched-out man stands proudly on the corner of Ülikooli and Gildi streets. 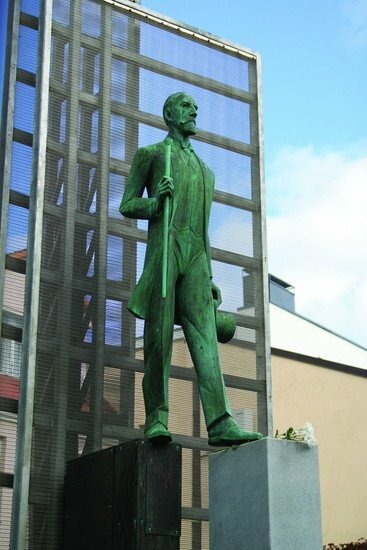 This larger than life figure is Jaan Tõnisson (1868 – 1941? ), who served as prime minister and head of state during Estonia's prewar independence period. More than that, he was editor in chief of Estonia's major daily, Postimees, for nearly four decades. Join the crowds eating ice cream below him and you'll notice that the same newspaper's offices are located right across the street. Thanks to the prominent location on Küüni street, this odd pair is impossible to miss and ends up in many a tourist’s photo album. 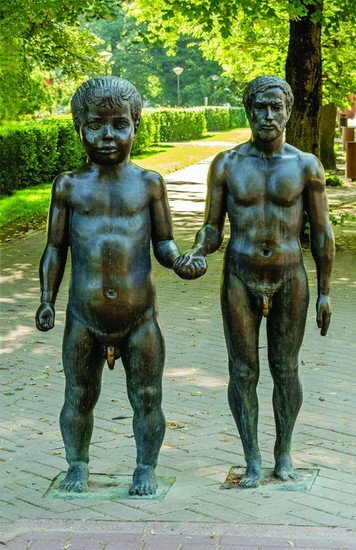 Sculptor Ülo Õuna (1940 – 1988) created Father and Son in 1977, but it was placed here much later – in 2004 – in honour of Universal Children’s Day. It shows the author and his then infant son. The fact that they’re the same size creates the impression of either a shrunken man or a freakishly huge baby. It’s meant to expresses the ties between different generations, though the message seems to be lost on little kids who, as you can see by the shiny spots, can’t seem to help touching the statues’ private bits. Artists and bored students, meanwhile, like to add clothes. 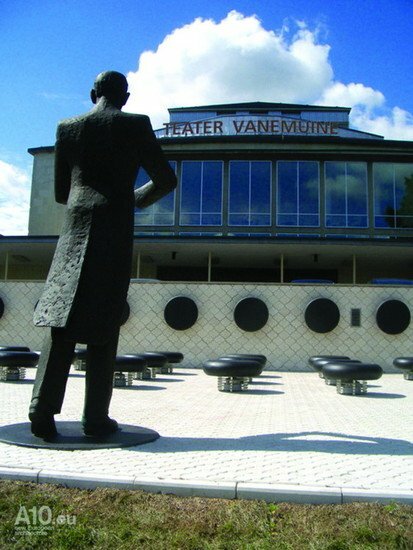 Tartu's most musical memorial is located in front of the Vanemuine Theatre at Vanemuise 6. It's dedicated to Eduard Tubin (1905 – 1982) who, apart from being a respected composer and conductor, was concert master at the theatre from 1930 to 1944. Here you'll see him conducting an orchestra of empty stools that you and your friends are welcome to fill. Hit the gongs on the back wall to hear extracts from his compositions. Recently, a technical glitch had them sounding every time the streetlights went on, so the neighbours complained. It should be operating again in May 2016. Along the river bank slightly north of Town Hall Square stands a 4.5-metre statue of a nearly naked man with a sword. The figure is Kalevipoeg, Estonia’s epic hero, and the monument makes our list for its disappearing/reappearing act. 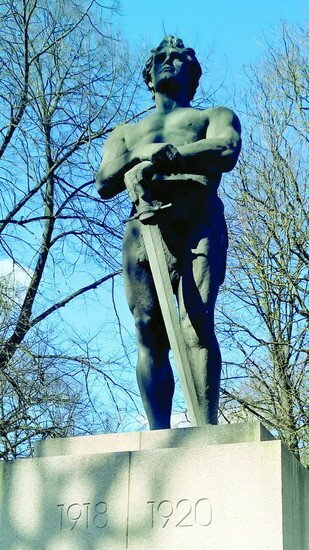 Created by renowned sculptor Amandus Adamson, it was unveiled in 1933 as a tribute to Estonia’s War of Independence (1918-1920). After World War II, such reminders of freedom, not to mention a war Russia lost, didn’t sit well with Soviet authorities, so in 1948 they destroyed it and later replaced it with a monument to the writer Kreutzwald. The tides of history eventually turned and, in 2003, the monument was reinstated using a copy, ensuring that Estonia’s hero of lore is once again protecting the nation from foreign enemies.